ID: 2139 ~ Source: George H. Williams papers, #3297, Box 179, Folder 5, The Texas Collection, Baylor University. 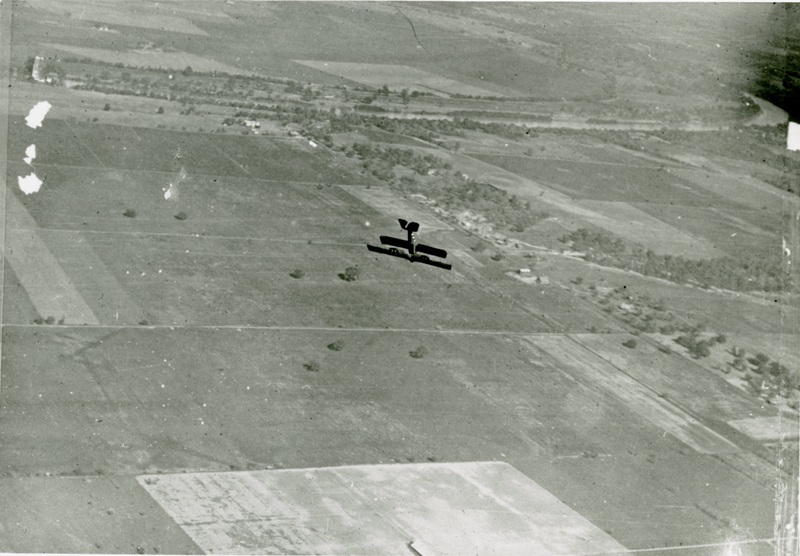 Pilots practiced many different kinds of maneuvers, such as the looping seen in this image. Pilots had to be extremely comfortable in their planes to be ready for any situation. 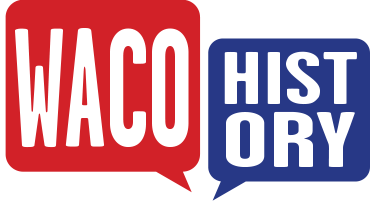 The Waco Times-Herald reported one incident in which Sergeant H. H. Sheffield Jr. of Rich Field was flying at about five thousand feet when his plane caught fire. Sheffield intentionally dove down to one thousand feet, quite a risky move, but the wind extinguished the flame. A team from Rich Field dispatched to collect the damaged plane and lucky pilot. Sheffield had also recently had a run-in with a chicken coop as well when flying to Hillsboro to visit his aunt.